People who look at the picture below and think "Yeah, so?" People who look at the picture below and think "Gee, Mark bought another bicycle. I'm sooooooo surprised! 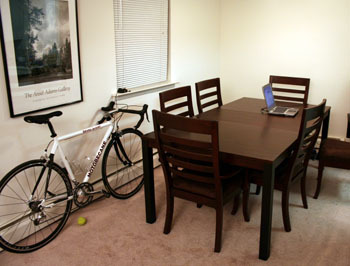 But wait... What's that thing next to the bicycle... Is that a dining room table?!?! OH MY GOD!!!"